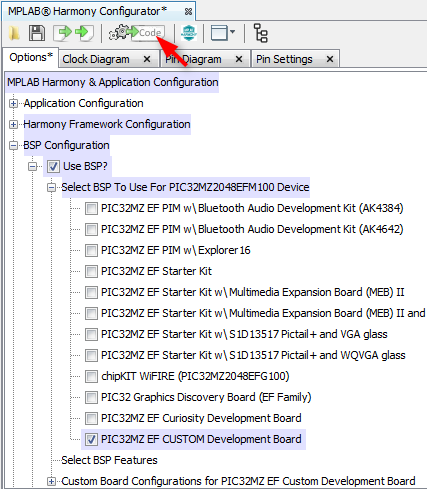 Open the MHC tool (Tools > Embedded > MPLAB® Harmony Configurator) if it is closed. 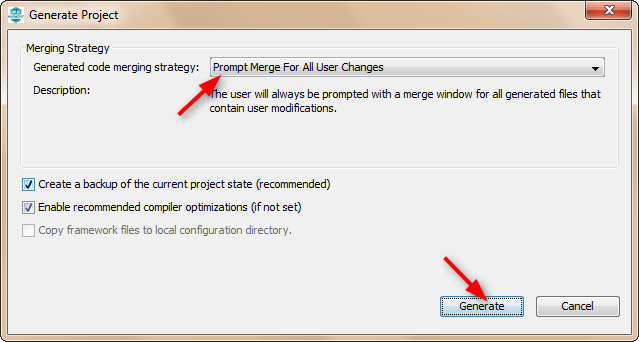 Choose the Generated Code Merging Strategy and click on the Generate Button. Open system_config.h from the Projects pane in the MPLAB X IDE. Scroll to the Application Configuration section. 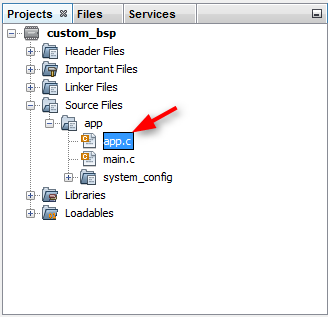 Here MHC has generated functions for the pins which are configured in the BSP. These functions can be used in your application. Compile the project to verify that the generated project compiles without any errors. Click the Clean and Build icon. Check the buildlLog in the Output window of MPLAB X IDE. There should not be any build errors. Open app.c from the Projects pane in the MPLAB X IDE. 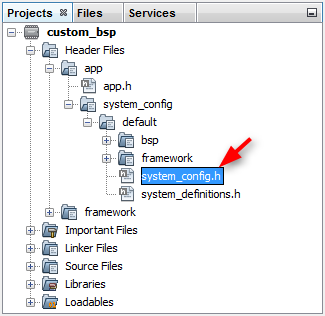 In the function APP_Tasks(), found in app.c, make the changes in the APP_STATE_SERVICE_TASKS case statement as shown below. Click on the Make and Program button to program your target. After programming is successful you will see LED1 blinking on your target.